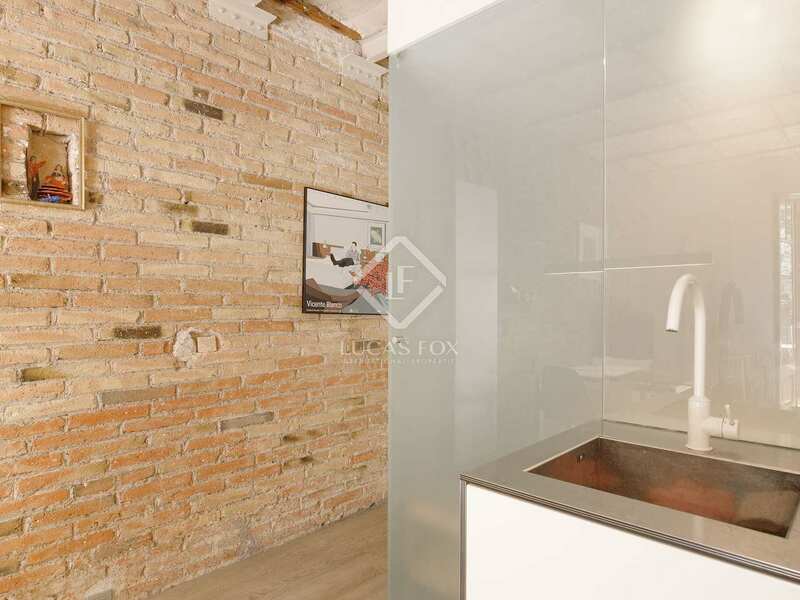 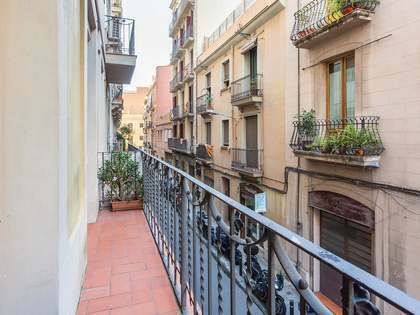 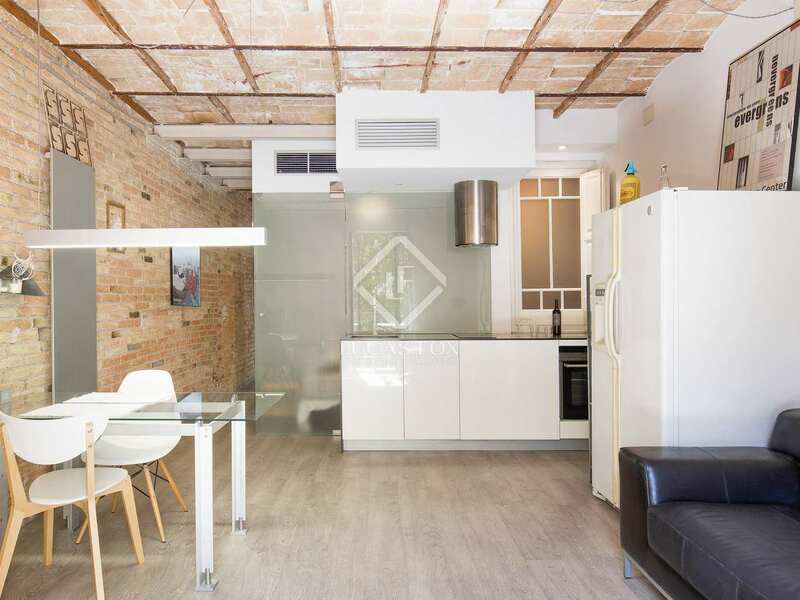 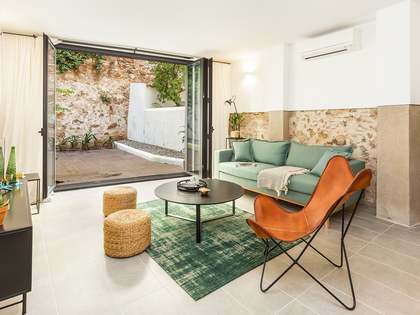 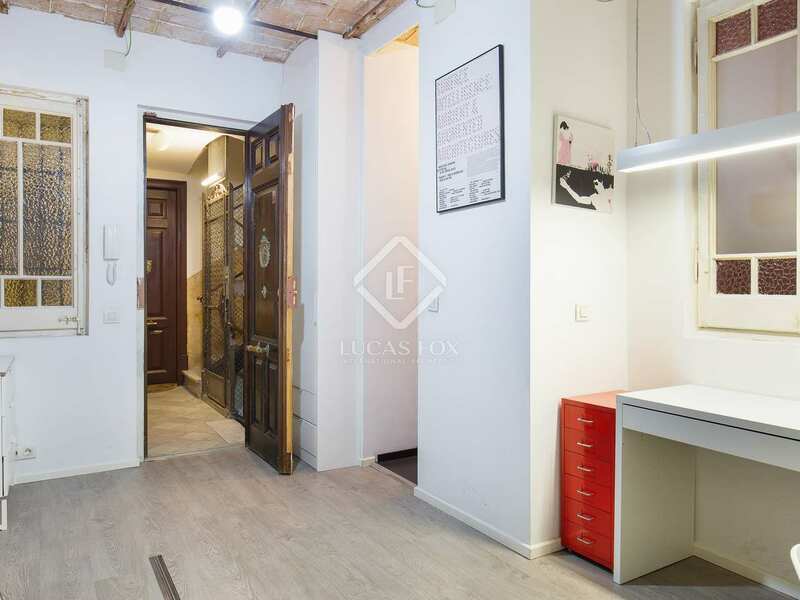 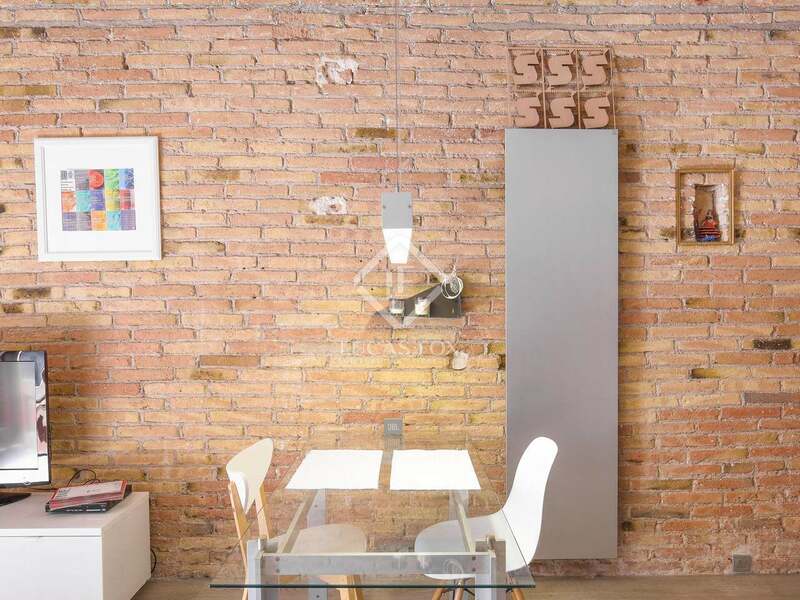 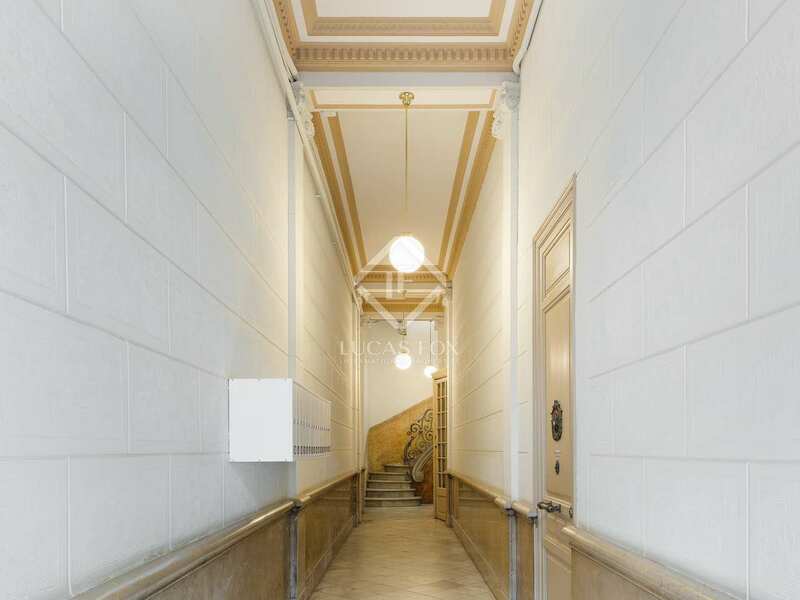 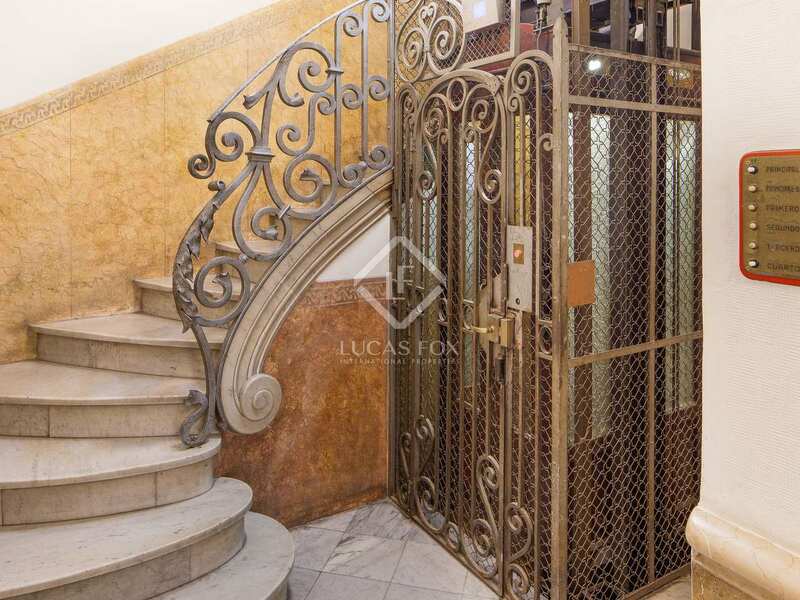 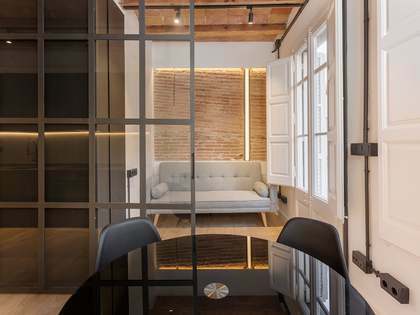 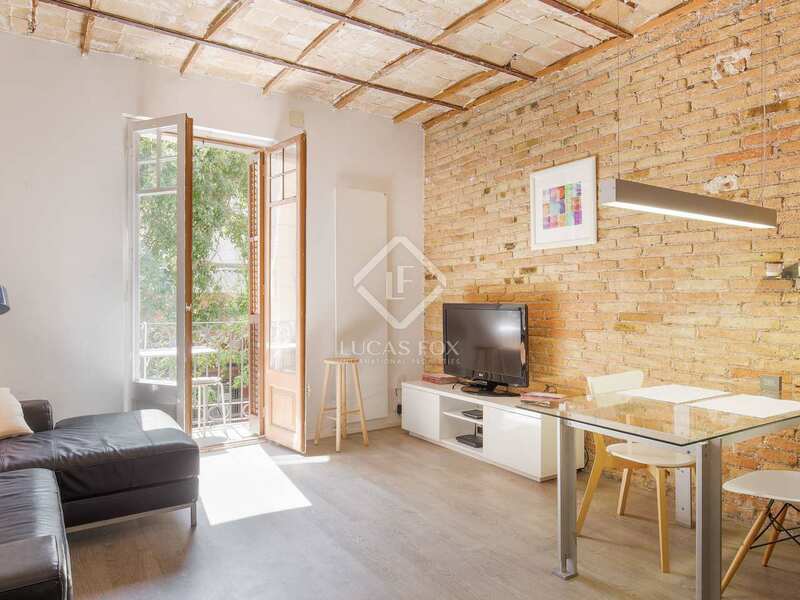 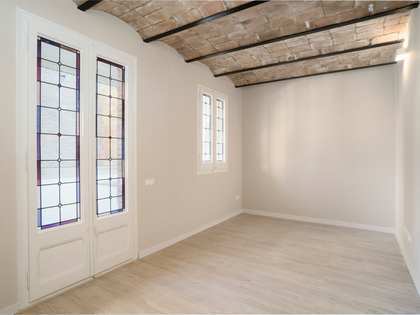 Versatile 1-bedroom property for sale in a period building in Barcelona's Gracia neighbourhood. 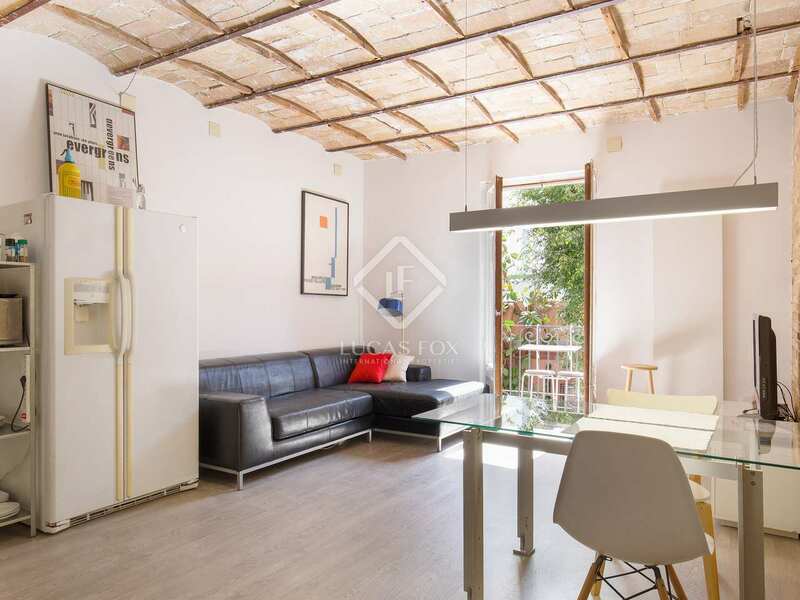 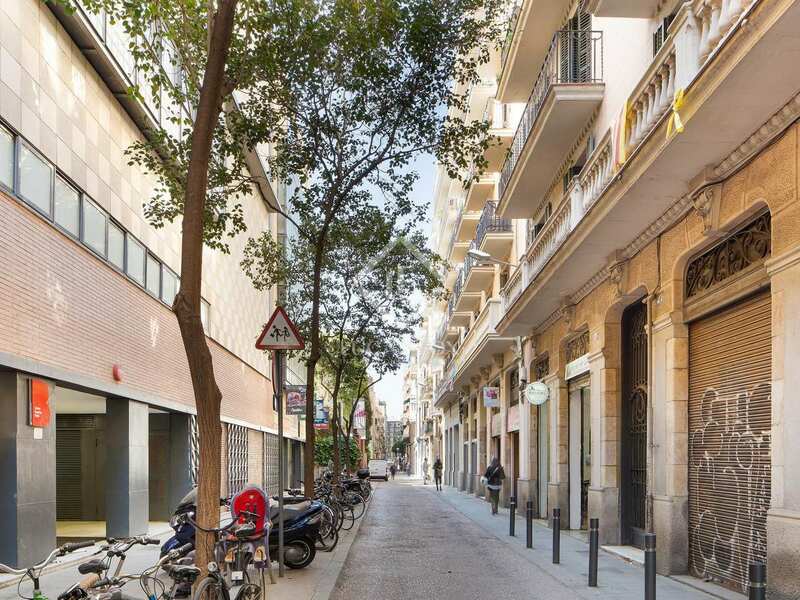 Apartment in an excellent location in Vila de Gracia, on a peaceful, semi-pedestrian street, very close to Corsega, the Eixample, Passeig de Gracia, Diagonal and Passeig Sant Joan. 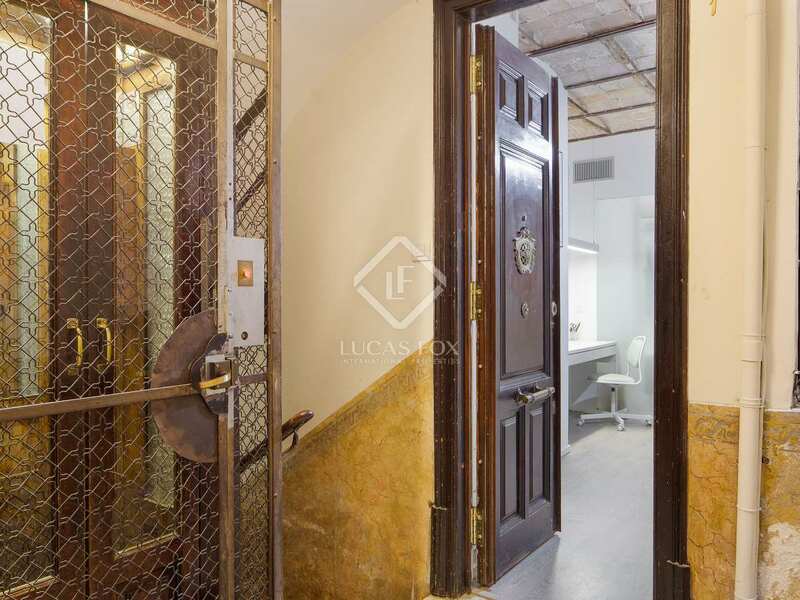 The property is located in a charming and well maintained 1930's building with a lift and many attractive period features. 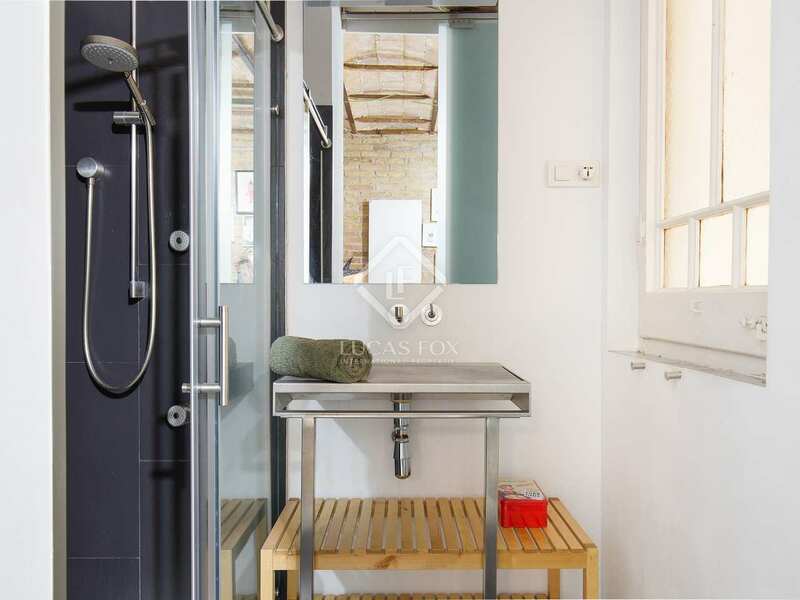 It underwent a high standard renovation with quality finishes in a timeless style in 2011 and is presented in good, move-in condition. 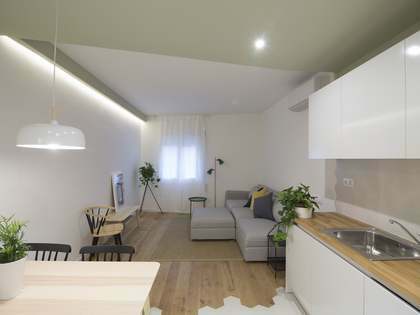 The current layout offers 1 bedroom and another room which may be used as a study or single guest bedroom for example, which both overlook the interior patio, a complete bathroom with a shower and an open plan living, dining and kitchen area with a balcony over the street. 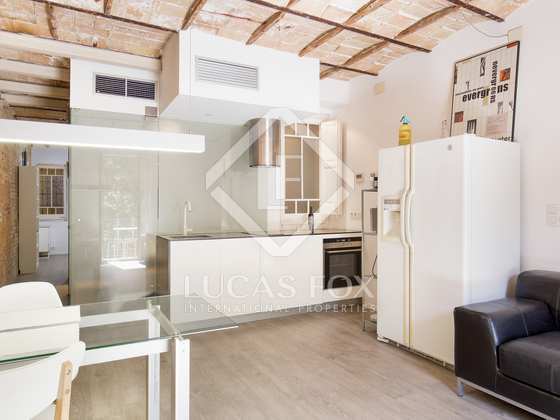 The kitchen comes equipped and has a vitroceramic stove and the entire property has gas heating with interesting designer radiators. 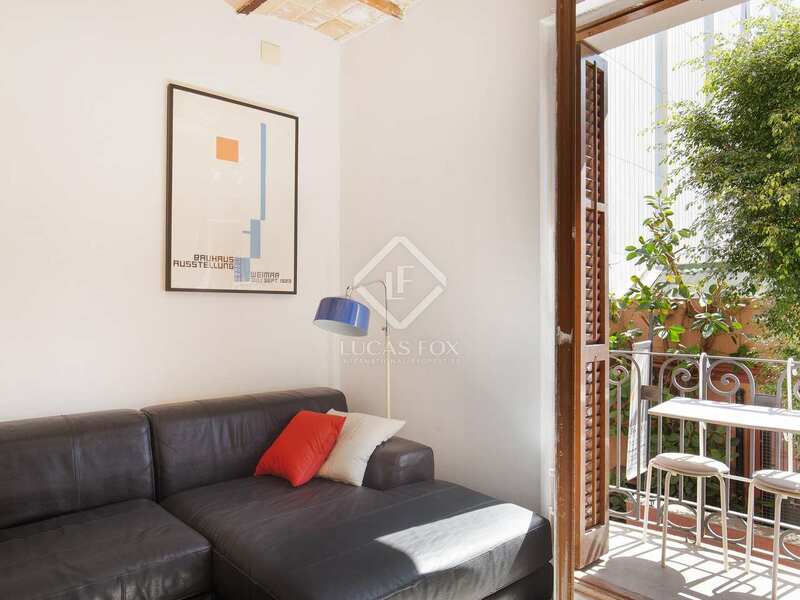 This south-east facing property enjoys plenty of direct sunlight. 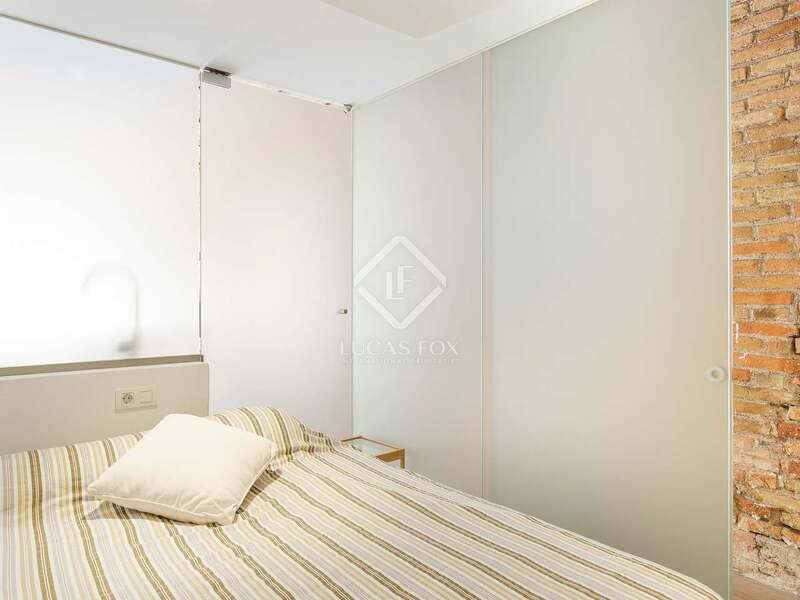 It can be used as a 1-bedroom property and use the other bedroom, which has sliding doors, as an open space study and occasional guest bedroom. 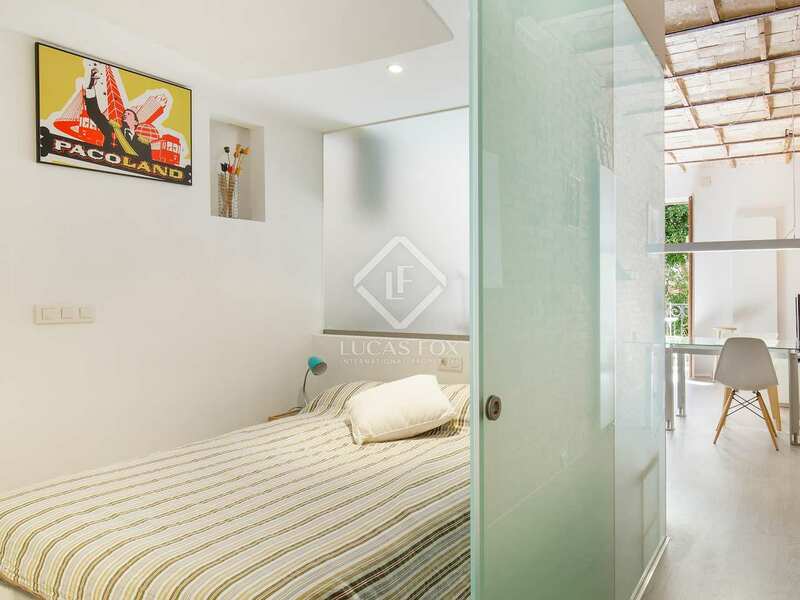 This is a versatile home that can adapt to the new owner's lifestyle. 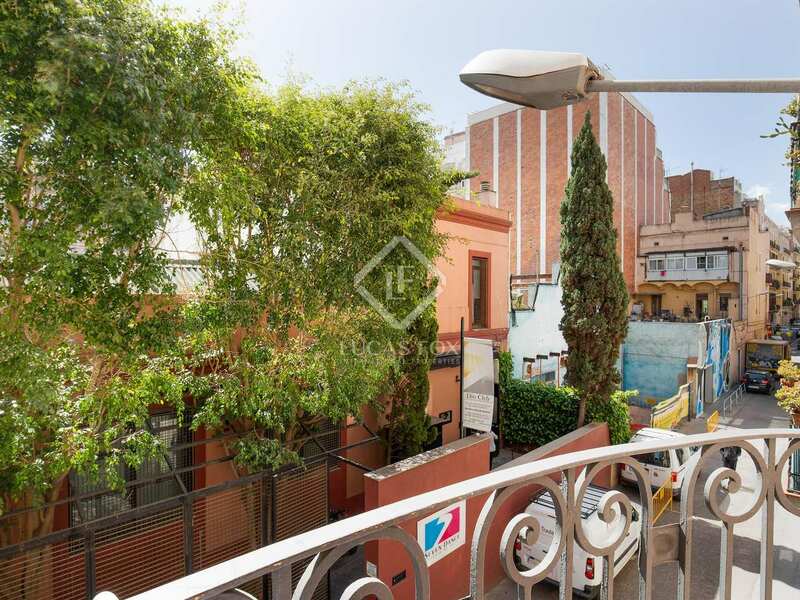 An excellent home in the Gracia neighbourhood and a sound investment with a potential rental yield of 5%. 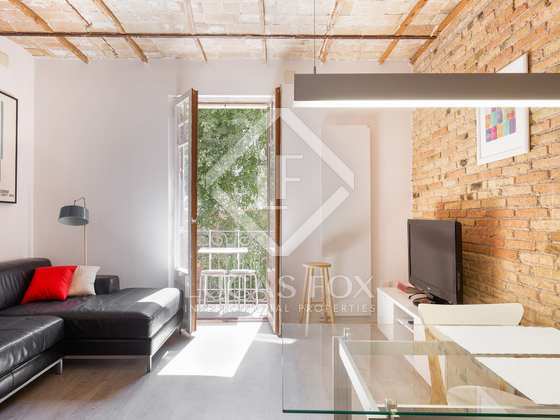 Apartment in an excellent location in Vila de Gracia, on a peaceful, semi-pedestrian street, very close to Corsega, the Eixample, Passeig de Gracia, Diagonal and Passeig Sant Joan. 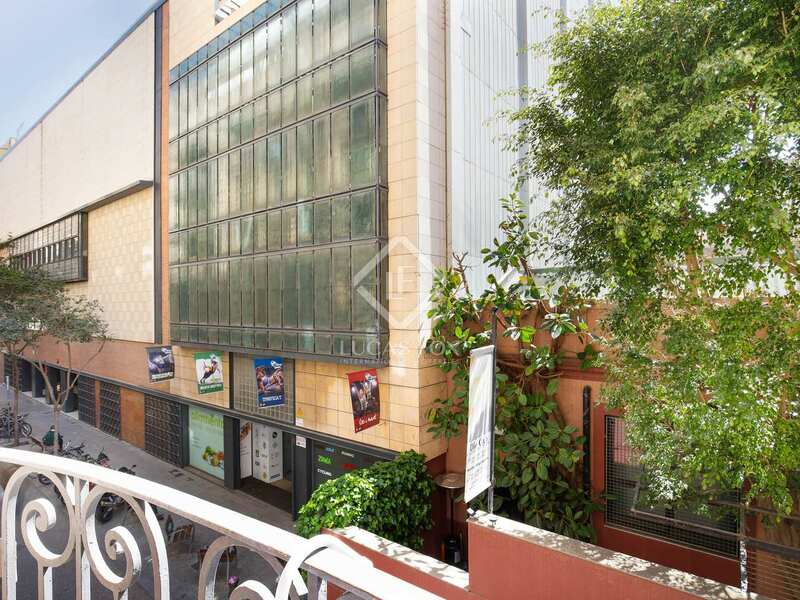 Amenities such as the l'Abeceria Market and gyms are found nearby.